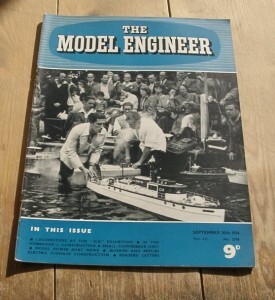 September 30th 1954 Edition of the British Magazine, Model Engineer. 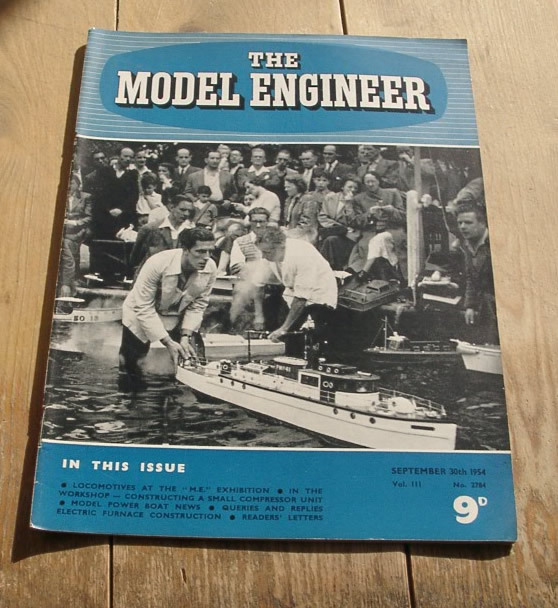 This issue has articles on constructing a small compressor unit, electric furnace construction, model I.C. engines – the Allyn Sea-Fury Outboard, traction engines at the “M.E.” exhibition and a simple geared impulse turbine.